Welcome to low transaction fees and lightening fast payment processing! If you are already accepting online payments using Stripe, contact us at 877-679-0950 to discuss your transition to Blue Pay. Go to Billing and click the "Setup Account" button at the top right of the page. 2. 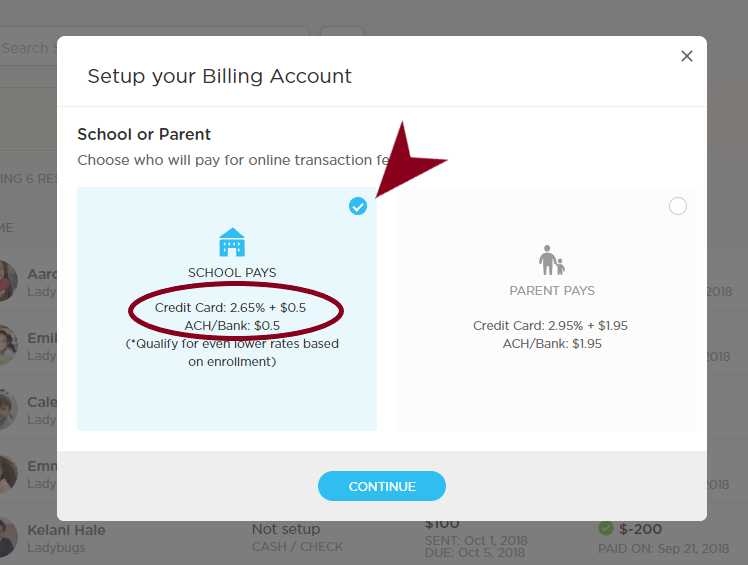 Select "School Pays", your school will need to absorb the transaction fees in order to use Blue Pay to process your payments. 3. You will verify your school type and select how many students attend your program. 7. The representative will outline the rates, online application, setup process and answer any questions you have. 8. 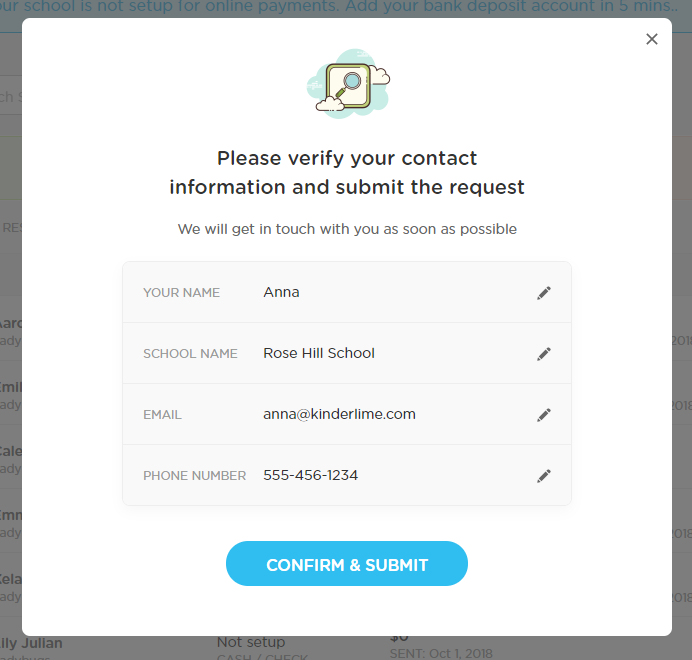 Once you have been approved for Blue Pay (the whole process only takes about 2-3 days) a member of Kinderlime will contact you and you will be able to accept online payments from parents immediately!